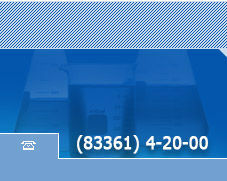 and sincerely hope that you will find us as reliable partner for your business. 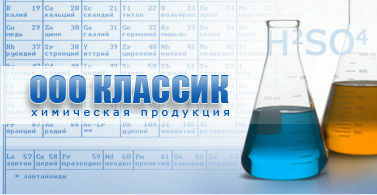 "Klassik" LLC - 10 years of successful work in the market of wholesale trade of chemicals. We have steadily strengthened our position on the market of chemicals over these years, in order to provide an impeccable reputation of our company. Our staff are true professionals in the first place, with expertise not only in chemistry, but also in procurement, sales and logistics. But most important thing - it is a well-knit team of people, working effectively to achieve maximum results. Due to proper organization and high-quality work the company enjoys well-deserved reputation among partners and customers. We cooperate with Russia's manufacturers of chemicals such as: "Galogen" OJSC in Perm, "KChHK Polymer Factory" LLC in Kirovo-Chepetsk, "Kaustik" OJSC in Steriltamak. We have established good partnership with all the suppliers, proven by years of successful work. We are official dealers of OJSC "Galogen" (Perm) and "KChHK Polymer Factory" (Kirovo-Chepetsk) for packaging and sales of acids and salts. We carry out a regular supply for Russia's largest enterprises engaged in the oil industry, ferrous and nonferrous metallurgy, glass manufacturing, semiconductor equipment and electronics industries, mechanical engineering, as well as exports to Kazakhstan, Kyrgyzstan, Belarus and Ukraine. Packing acids in different packaging is one of the activities of our company. 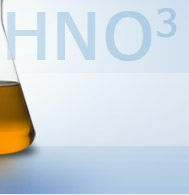 We don't stand still and regularly follow up scientific development, research and production in the chemical industry. Conditions of packaging, transportation and storage do not allow even a minimal quality loss of products. If you'll choose, you'll get a stable and reliable partner! We value the trust of our business partners and do everything to make their requests and demands to be satisfied. Quality, honesty, expertise - the fundamental criteria of our services we offer to our customers. Based on these principles, we were able to significantly expand the range of our customers and earn their trust and respect. Long-term and mutually beneficial cooperation - our main goal. Because of our permanent partners we have achieved today's success, which we hope to develop in future. We hope for mutually beneficial cooperation and thank you for showing your interest!